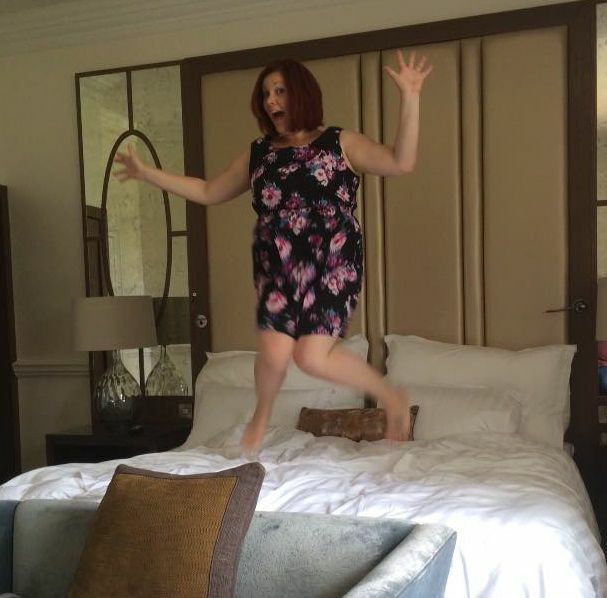 I’m not one to get too mushy about the romantic side of life, but recently I was invited to review a new sleep experience at Hanbury Manor in Ware. “Where’s Ware” I hear you cry?! 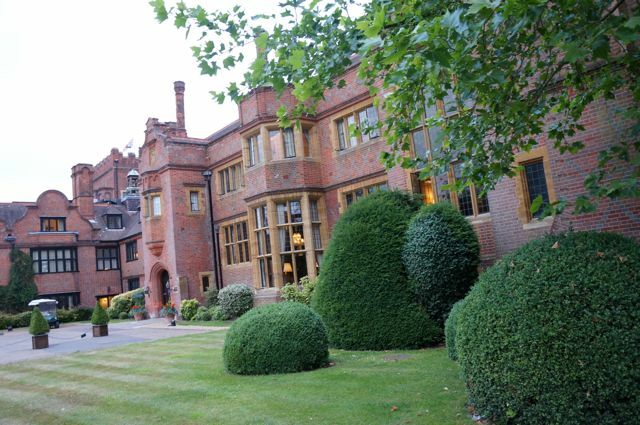 Ware is a 40 minute hop from Cambridge or London into the wilds of, well, Hertfordshire. It’s really not far at all, well worth making a visit for a country retreat not too far from civilisation. 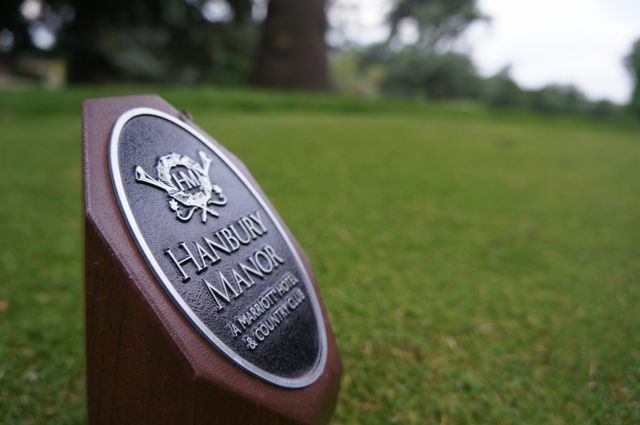 Hanbury Manor is a 200 acre Jacobean country estate on the very outskirts of Ware and part of the Marriott Group. It’s the perfect romantic hideaway, should you fancy a chilled out break with the love in your life… or it could be the selfishly indulgent solo spa retreat you’ve been needing for a while. 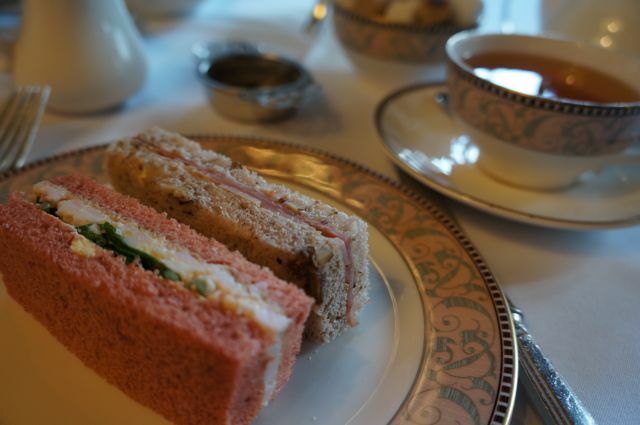 When I first met my bearded man friend, I told him all about my blog, the superb venues I get to sample afternoon tea within and the luxury hotels & spas I review as Miss Sue Flay. As we got to know each other better, there was a promise of hopefully being able to take him along with me for the odd pamper. 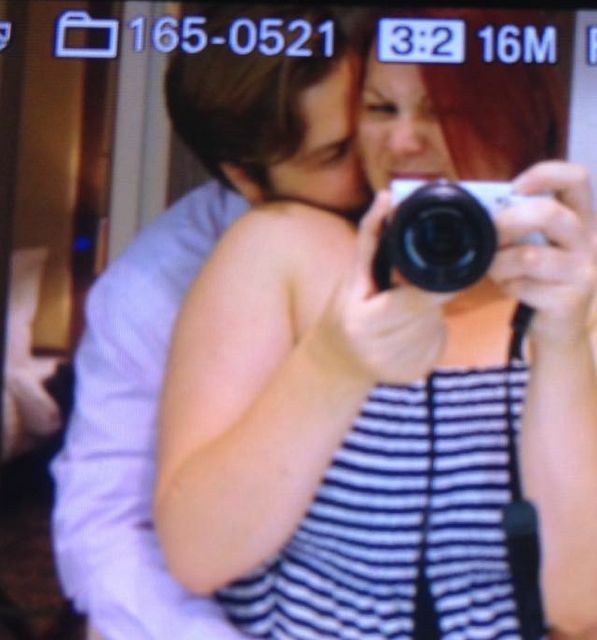 And so the day had finally arrived to treat him to a luxury spa break – so exciting. This is the perfect location for a mushy, romantic getaway and with Hanbury currently teaming up with Duxiana Beds for the “Ultimate Sleep Experience”, this was the recipe for a much needed rest for the both of us. Off we skipped, hopped and jumped, frolicking hand-in-hand up through the trees up the green driveway and into a grand candlelit hallway through to the reception desk where we were greeted by a friendly young lady who addressed me as my real self – I like to stay incognito on a review trip. Duxiana is a brand I’m very fond of, remembering back to the days of the Duxiana showroom on Jesus Lane in Cambridge, I used to pass it on the bus whilst studying at my local Sixth Form college, lusting over a snooze in one of their showroom beds in the window – this weekend retreat saw that mini dream finally come to life. Hanbury Manor and Duxiana have also teamed with Lumie Lights and Rajeunir, combining an advanced, luxurious bed with the Lumie Bodyclock Iris to relax & invigorate your senses and a Rajeunir moisture serum to keep your skin healthy and radiant. They believe that sleep should be “engineered” and for everyone that can combine these luxury elements, why shouldn’t it be? I’m a firm believer in getting a good sleep, of which I genuinely don’t get very often due to a back injury that keeps me from comfort more than I’d like. The Duxiana beds are designed to support your body for optimum pain relief and recovery, of which I didn’t realise to start with, it’s pure fluke that I was about to put this bed to the back pain test. 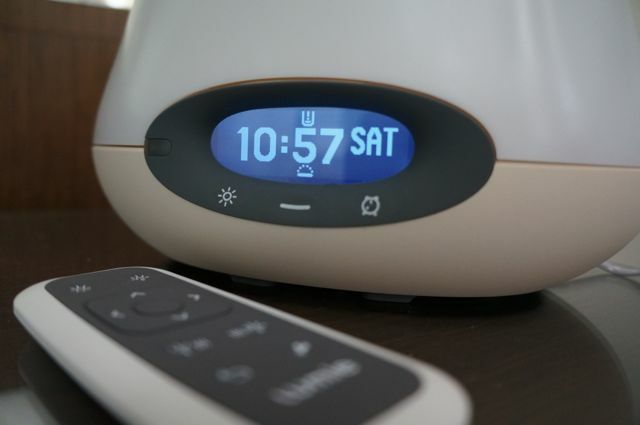 The Lumie light is a type of alarm clock, but instead of an annoying, shrill beeping, you can programme it to send you to sleep or wake you with a mist of aromatherapy oils or mists to relax or awaken your senses. 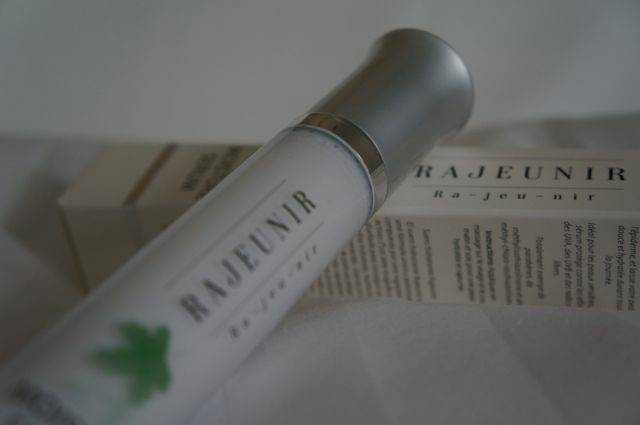 Rajeunir provide you with a container of luxurious moisturiser to use on your face and neck before a good sleep, we ended up calling this our “Eternal Youth Serum” and we are still doing so almost a week later – it’s making us feel younger, even if we don’t look it. Duxiana have carried out extensive research to develop a selection of handcrafted beds, all tailored to meet specific needs. 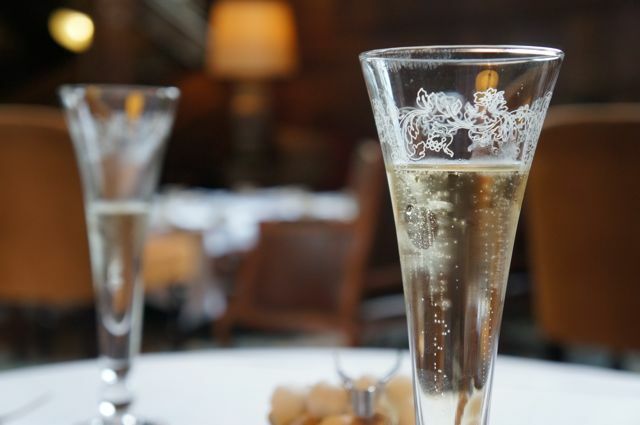 Their showroom in London encourages you to try them, but as a brand, they’re now working with hotels such as Hanbury Manor to allow you a full night to road test them. The Dux 818 is their most advanced bed and the one I got to try out here, with nearly four times as many springs as an ordinary bed. The lumbar support is individually adjustable for each side of the bed and that’s as nerdy as I can get here – if you want to read more about the specifics of this bed, and I suggest you should, you can see more on their website about the intricate details. What I found most important is that it passed “the jump test”… Yup, I like to kick off my shoes, have a good old jump on the bed and see if I can swing from the chandeliers – the Dux 818 didn’t fail to impress me with its’ spring action. 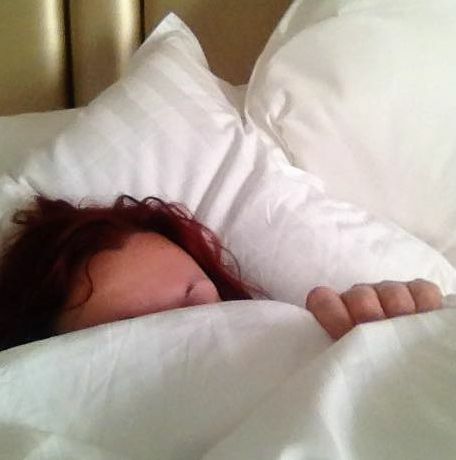 In all seriousness, this was literally the comfiest bed I’ve ever had the pleasure of sleeping in, I’m honestly not just saying that, it’s true. In fact, not even my own bed compares, that’s really saying something as I invested a lot of money in my own personal bedroom. I’m now ready for a serious upgrade, I have a feeling it would do my back pain wonders, so I best get saving my pennies… Or if Duxiana is reading this and have a tatty ol’ thing laying around, they’re welcome to tap me up. 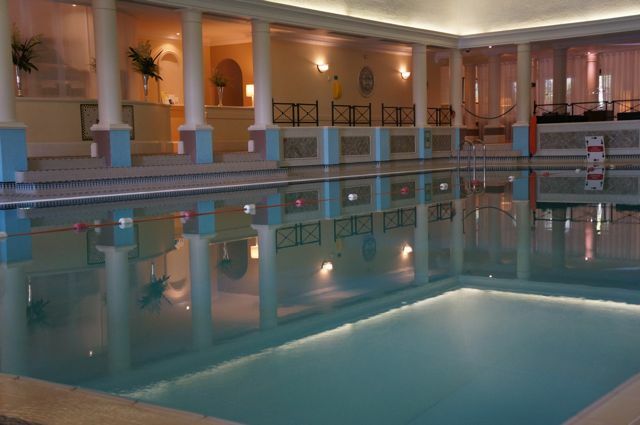 We stayed in a Prestige Room, within the body of the main house, with access to their spa, golf course and gym facilities throughout our overnight stay. The Prestige Rooms have been recently upgraded, but what I did like about this room for a change was that there was no air conditioning unit within the room. This meant that we didn’t have dried out, bloodshot eyes, of which we’ve suffered on our recent travels elsewhere. Our bathroom was a great size, complete with fluffy white robes and slippers of which we made use of in the spa the next morning. The loo roll origami impressed me as a total geek for this stuff and the lounge area had a comfy sofa where we camped with my pre-prepared carpet picnic of scotch eggs, crudités, prosecco and cupcakes on arrival – bliss. This hotel is full of character, complete with a vaulted chapel which was set up for a wedding whilst we were staying, it looked stunning and I couldn’t resist a nosey up close before the guests descended, what a grand room. I’m not interested in golf personally, but the golf buggies (even hover board-style buggies) almost tempted me to off-road, had the keys been left in the ignition… Ahem. You can pre-book beauty and relaxation treatments here, however we didn’t have time during our visit to get a massage or manicure which is a real shame, but we did get to use the rest of the spa facilities briefly. We were up very early for a Saturday morning (for us anyway!) and got into the gym for some cardio work before breakfast. There are no mats or free weights here, but plenty of machines to get your heart rate pumping before a full English in the Oakes Grill. After breakfast we enjoyed a quick chill in the steam rooms (they have a separate one for men and for women), a quick sit in the unisex sauna and a few laps of the swimming pool before checking out. Even though our visit was simply an overnight stay, we still felt revitalised for using these facilities, so if you don’t have time for treatments, you can still get quite a lot out of your visit. The buffet breakfast was the breakfast of kings, we could opt from a full cooked English breakfast buffet (the sausages were the tastiest I’ve eaten in a very long time), freshly baked pastries, fresh fruit with yoghurt, a selection of fresh muffins or breads to toast as well as a menu to choose an array of other breakfast options. 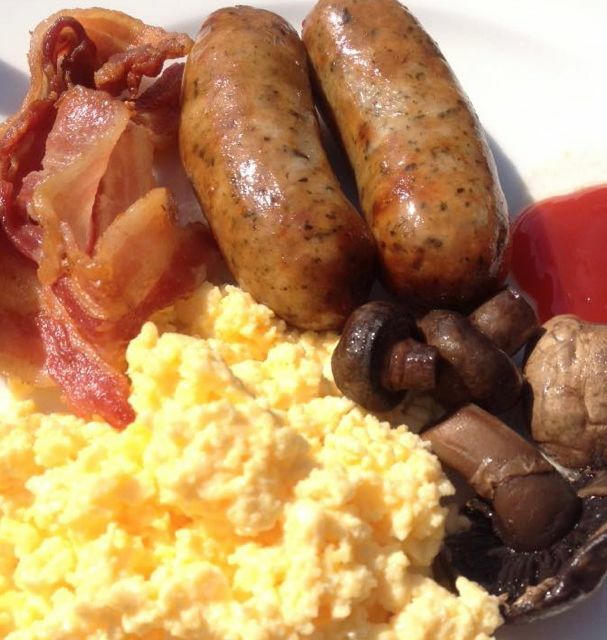 What I did like about the buffet was that if you didn’t want the eggs on offer (fried or scrambled) then you could have a fresh omelette made up to go with your breakfast. 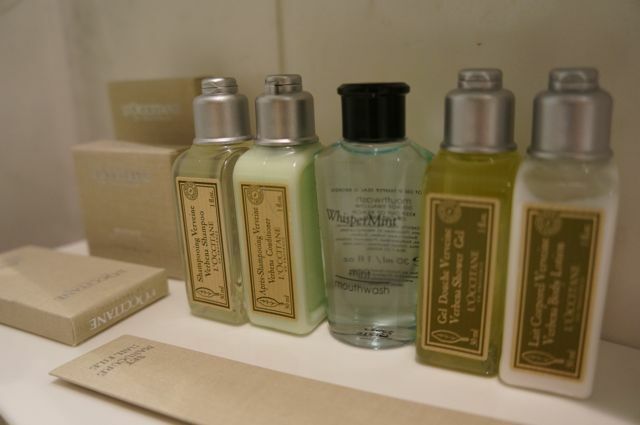 The toiletries within our en suite bathroom were L’Occitaine which was a lovely touch, I haven’t yet used this brand within a hotel stay before and I was thrilled to find one of my favourite beauty brands awaiting me. And it wasn’t just the hand soap and usual hair supplies on offer, I also had access to a shower cap, sewing kit, nail file and even a miniature bottle of mouthwash – we were well catered for. 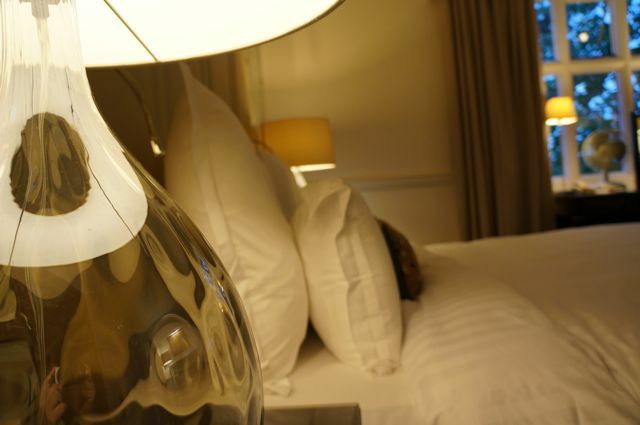 Dux also create luxury bed linen – the lightweight duvet and pillow selection were all contributing factors to one of the best nights’ sleep in a very long time for both of us. 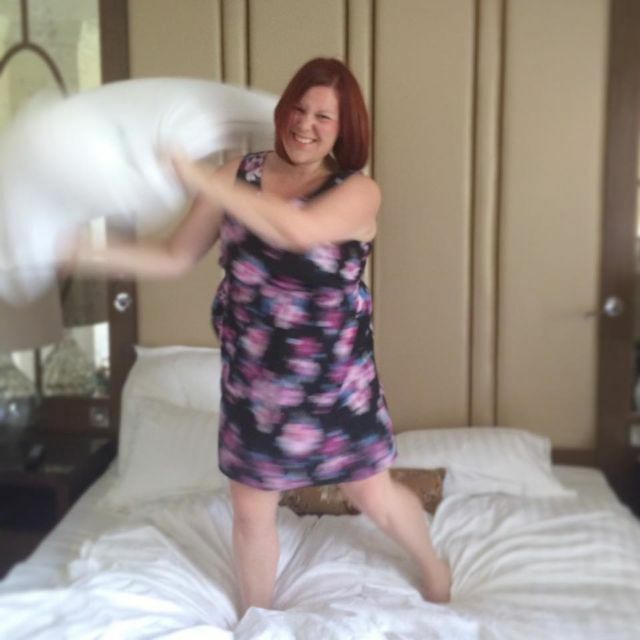 The pillow selection was superb, with two of the biggest pillows I’ve ever seen. I could barely hold both of them together, they were almost as tall as me. Breakfast was served between 7am through to 11am, I loved that there’s an option to have a lazy start to your day… There’s absolutely nothing worse than only being able to grab breakfast until 9:30am whilst staying away. We had ours whilst in our gym gear and felt comfortable sat out on the veranda enjoying some sunshine, with such a lovely view! There were two little packets of biscuits on the tea tray, however one of the biscuits was crushed beyond belief, I still can’t quite work out how on earth they would have crumbled so badly, it was if somebody had stood on the pack and popped it back. I could feel this was crushed, so when I opened it, powdered biscuit fell everywhere, oh dear, they certainly weren’t dunkers. Just two rooms currently house these luxury Dux beds, so if you decide to book an Ultimate Sleep Experience, you will need to specify on booking. 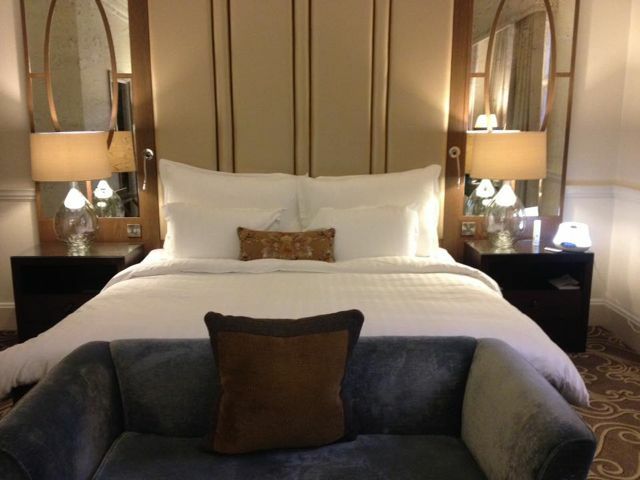 This experience within The Hanbury Suite is £369 or The Prestige (where we were staying) is £250 for room and breakfast based on 2 sharing. 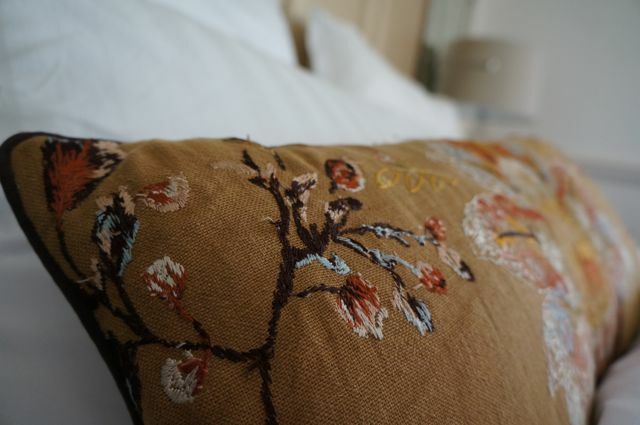 Although at full capacity during our stay, with not one, but two weddings this weekend, it felt so peaceful – the perfect snoozy start to our chilled weekend.